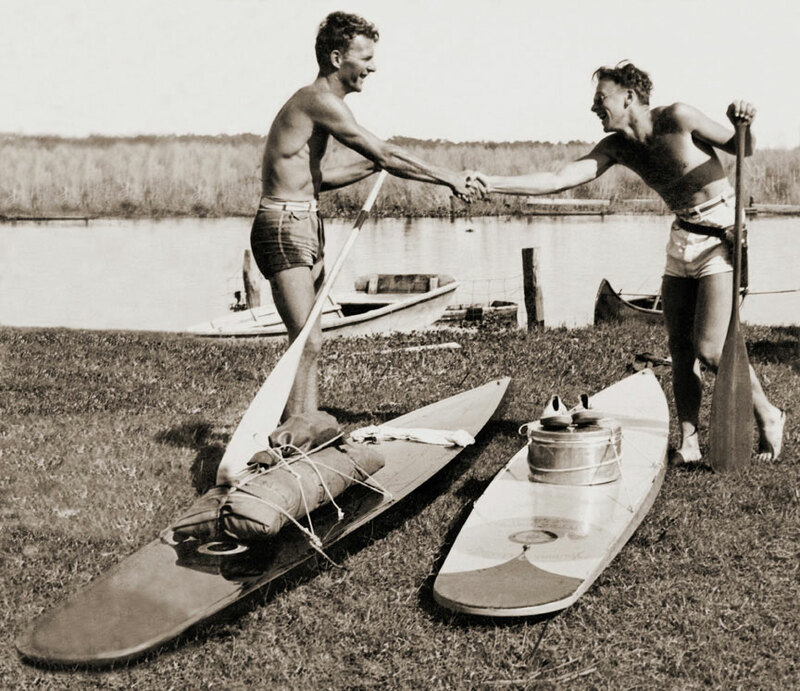 Early stand up paddlers using a couple of Tom Blake hollow paddleboards manufactured by the Mitchell Company, circa 1930s. They were touring the Florida Everglades and apparently weren't taking any chances when it came to being fully prepared, note the pistol on the guy on the right. Photo: Tom Blake archives.